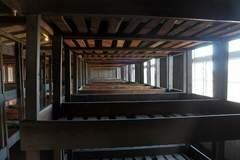 See the devastating cost of the rise of Nazi power in Europe with the Berlin Sachsenhausen Concentration Camp Group Tour. 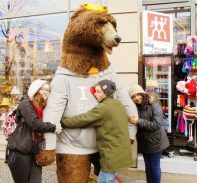 This is a perfect tour for small groups of ten people or less. 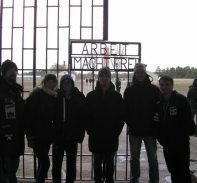 Our local guides are all fully licensed by Sachsenhausen and will lead your group out to the camp located just outside Berlin. 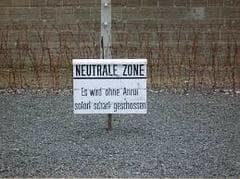 Once arriving guests will see first hand the remains of the Nazi death camp. 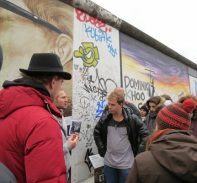 Get the full history with the Original Berlin Sachsenhausen Tour. 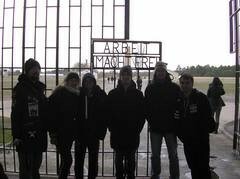 Sachsenhausen is located 35 kilometers from Berlin and is home to some of the worlds worst recorded history. The prison camp held over 200,000 prisoners from 1936 until the fall of the Third Reich in May 1945. Prior to the liberation of the camp, many of the Jewish prisoners were relocated to execution camps like Auschwitz further east later in the war. 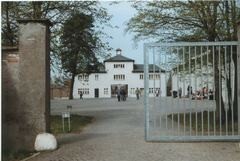 Sachsenhausen was also the site of Operation Bernhard, one of the largest currency counterfeiting operations ever recorded. Prisoners here were forced to counterfeit American and United Kingdom Currency in an effort to destabilize their economy. On the western perimeter prisoners where forced into labor for companies like Heinkel, the aircraft manufacturer. The Prisoners unfit to work were made to stand at attention for the duration of the workday. This tour will visit various location within the camp. 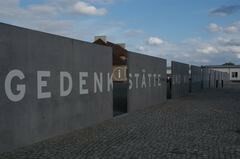 Our local guides will point out interest points and explain the history of Sachsenhausen. Stories of tragedy will dominate this tour but there was some triumph as well. 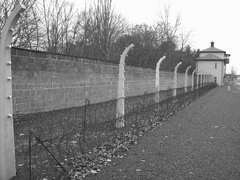 Over 18,000 prisoners were liberated from Sachsenhausen at the end of the war. Their stories and the remains of this camp how the world remembers the events at the camp. 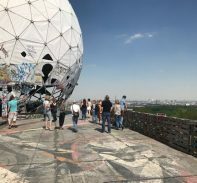 Take a trip back to the devastating times of World War 2 Berlin with the Berlin Sachsenhausen Concentration Camp Group Tour. 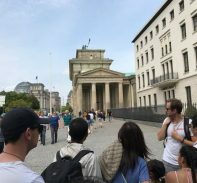 This is a private group tour for 10 people or less.